In times like these, people are going back to the basics, eating out less and cooking more meals at home. NESCO®'s small appliances make that kitchen time more enjoyable. 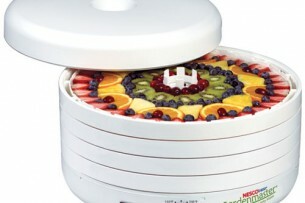 NESCO®/American Harvest® has been the leader in food dehydrators for over 30 years! These units feature patented technologies that dry your food faster and more evenly than any of the competing models available, we know, because we’ve tried them all! Our Converge-a-Flow® air flow assures even drying from top to bottom, without the tray rotation required by others.